PS Renewables has now connected Redcourt Solar Farm which at 3.3 MW will look to power around 820 homes with clean, green energy. 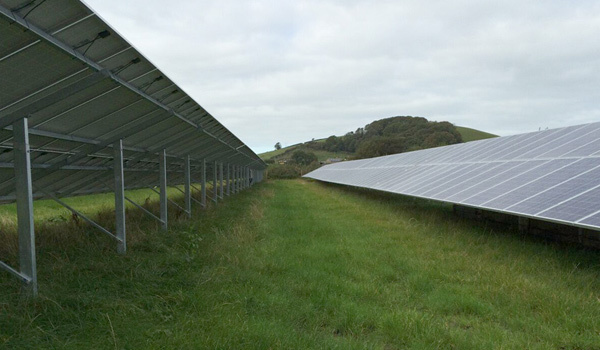 This 18 acre site took 10 weeks to build, with us installing over 13,200 panels throughout the summer months. As with all PS Renewables projects, the equipment and technology used has been Tier 1, for example Canadian Solar for the panels, and leading manufacture of inverters, Power Electronics. Construction wasn’t simply about installing the solar panels, before we dug the first trench or laid a cable, we had to build a bridge in order to access the site. We also had to re-plant a section of hedge, as part of the planning requirements. Now that we’ve finished the hedge is maturing and will ensure the site is well protected whilst also supporting the local wildlife. With fairly dry late summer months the site is in good condition, and our O&M team are looking forward to managing this farm under our Gold service which includes ground maintenance, technical maintenance and subsidy administration. Our Monthly Performance Report ensures our clients are fully in the picture for the day to day running of the site.